Role: To work alongside local teachers coaching children in a variety of sports with the goal of improving their fitness. Volunteering as a school sports teacher in a country so passionate about sports is a truly rewarding experience. You may volunteer as part of your gap year, as work experience, during a career break, or even volunteer while on your travels around the world. 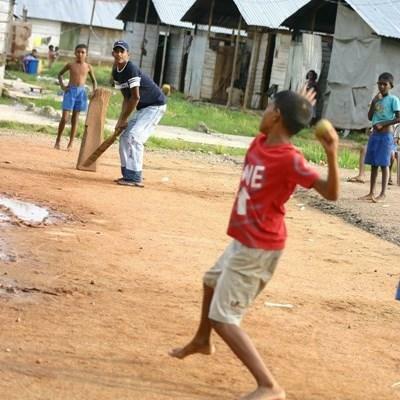 As long as you have a general love of sport and you are keen to make a positive impact on the lives of Sri Lankan children, you do not need experience to take part. 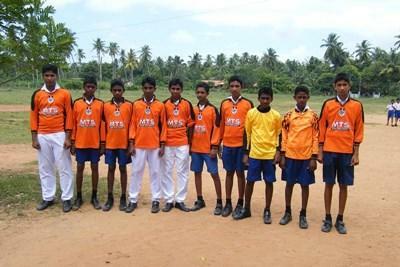 Despite the popularity of sport in Sri Lanka many schools still have very limited sporting facilities and equipment. As a volunteer sports teacher, you will be teaching sports to enthusiastic students who currently do not have access to a developed sports education. You can teach a variety of sports, including volleyball, netball, football and athletics. Projects Abroad has partnered with a school in Panadura and a college in Kalutara. Both education facilities currently give little importance to physical education lessons, but with the help of volunteers running sports classes it’s possible to change this. Sports volunteers start early in the morning, teaching from 6.30-9am and again in the afternoons from 2-5pm. If you choose, you can also teach some English or Physical Education theory between 9am and 2pm. The school in Panadura has 800 children. It does have a sports teacher, but the children currently only receive classroom based theory lessons. Volunteers at this school will have the opportunity to use the existing school field to take lessons outside and develop skills in a variety of different sports. This could be team sports including football, cricket, volleyball and badminton, and also individual athletics training. The college in Kalutara has 3000 pupils from primary to secondary ages. There are currently several sports teachers, however, without our volunteers providing additional support sports lessons don’t happen on a regular basis. At lunchtime the children sometimes organise their own sports sessions which you can also help with. Here you have the opportunity to support the existing teachers, or you can set up your own lessons. Lessons focus on the under 11s, under 13s, under 16s and under 19s. The school would like help with football, cricket, volleyball, netball, and athletics. The sports equipment available is basic. The technical centre in Negombo has 400 students, all between the ages of 16 and 21. Most of these students have difficult backgrounds, with many being orphans, coming from broken families, have been affected by war, or are former child soldiers. The role of volunteers is to teach physical education classes, and groups consist of 15 students at a time. If interested, volunteers can also get involved in teaching skills and academic subjects to help improve students’ future projects. These subjects include mechanics, carpentry, English, mathematics, or science.